Halloween is this weekend and whether or not you’re having a party or sitting in watching scary movies, it can be fun to create your own decorations to put around the house. 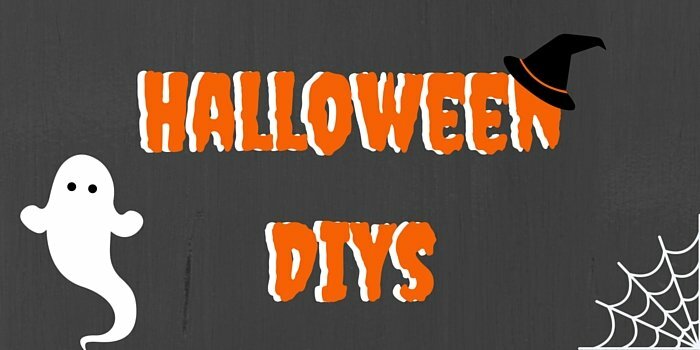 You don’t need to spend a fortune for some great Halloween decorations; there are plenty of simple ideas you can create from items around your house. Creating a cardboard cut out is one of the easiest decorations to make. You can either draw out your design free hand or print a template off Google. Creating a cardboard cut out is a great idea if you have just moved house and have spare boxes hanging around the house. You can place your cut outs anywhere in your home to add some character. Sticking them on the wall or up the stairs are two ideas. If you have young children, getting them to help decorate the cut outs are the perfect way to keep them occupied this half term. Your first step is to cover your work surface with the towel; this will protect the surface from the starch later. To create the space of your ghost, place the Styrofoam ball on top of the plastic bottle. You can secure this in place with some tape. To create the “arms” tape some wire to your bottle. You can bend the wires until you have your desired effect. Cover the body of your ghost with the cheese cloth and spray with starch. The more starch you use the stiffer your ghost will be. The final touch is to add the eyes. This can be made from two pieces of black felt in any shape you want. The most obvious decoration to have at Halloween is a pumpkin. If you are bored of carving the same old image into the side of your pumpkin, there are plenty of other creative ideas for your pumpkin. You can carve your pumpkin into some practical designs. Creating a drinks cooler or punch bowl are two of the easiest. Simple cut your pumpkin in half, scoop out the contents and put in either ice or punch, you could also put sweets in the pumpkin bowl. You could also punch holes in the sides of your pumpkin and put lollipops in the holes. If you don’t want children knocking on your door all night you can simply put this outside for them to help themselves. Using paint, your children can safely decorate their pumpkin. Using glitter is another way to spruce up a pumpkin. If you are feeling a little more creative there are plenty of options for you. Instead of having just one design on your pumpkin, you can carve two designs and create a two-faced pumpkin. If you want to go one step further, etching a design into the side of a pumpkin is the ultimate way to make a pumpkin look beautiful. With most of these DIYs you are able to store them for next year, either at home or in a self storage room. Pumpkins should be thrown out as soon as they begin to rot and should not be put into storage.